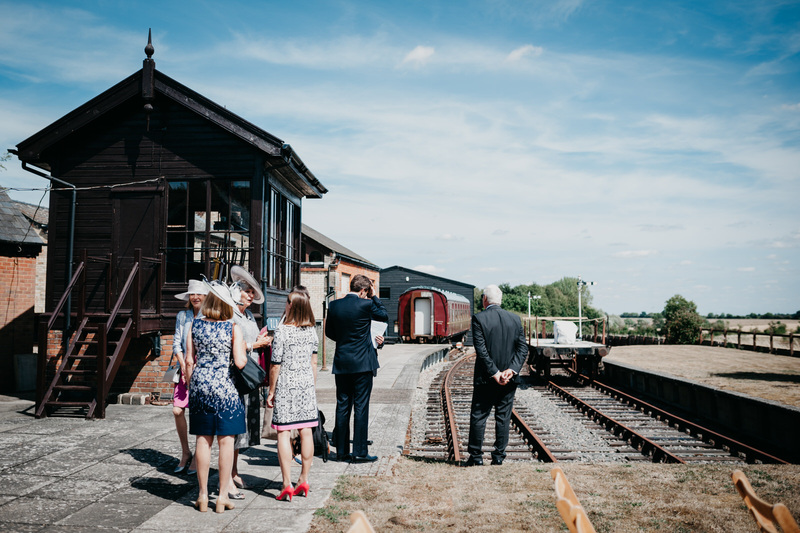 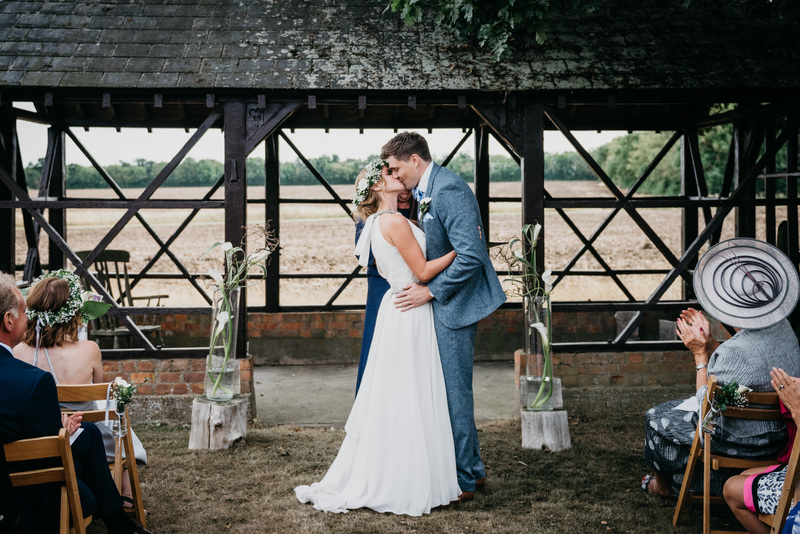 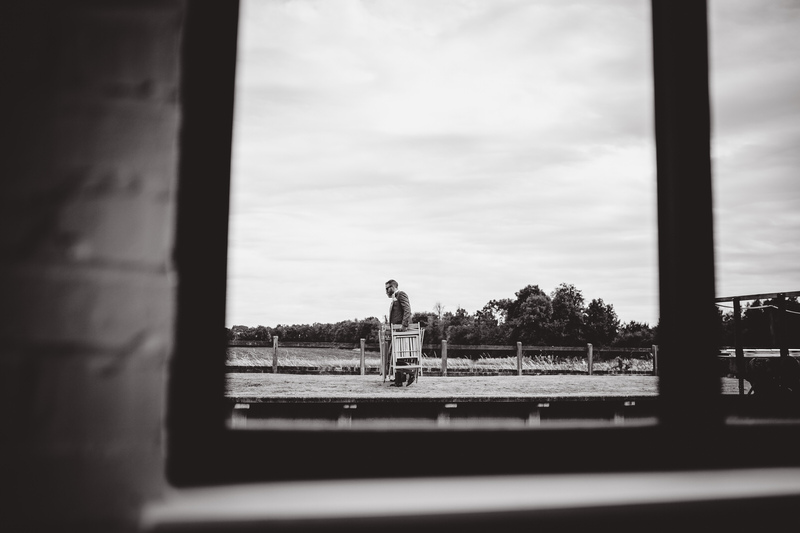 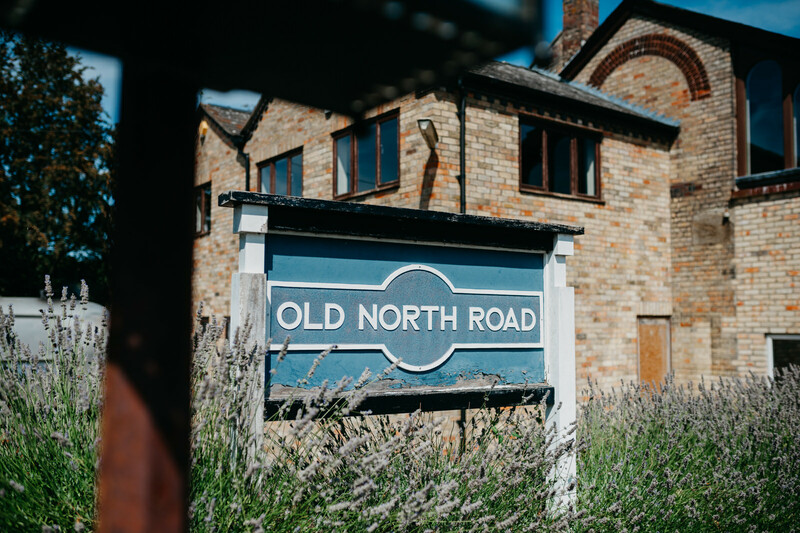 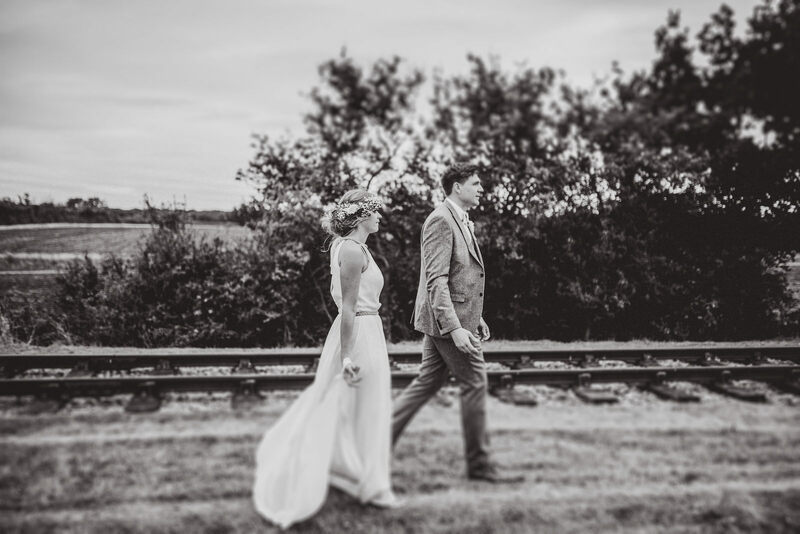 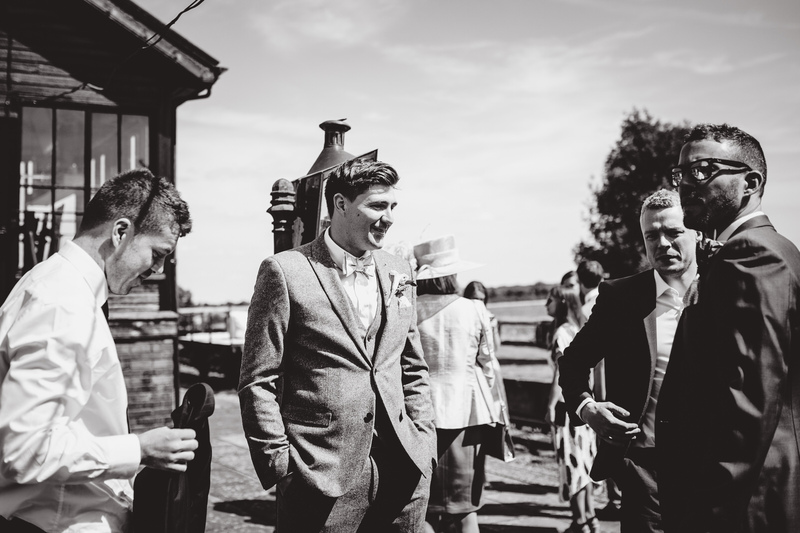 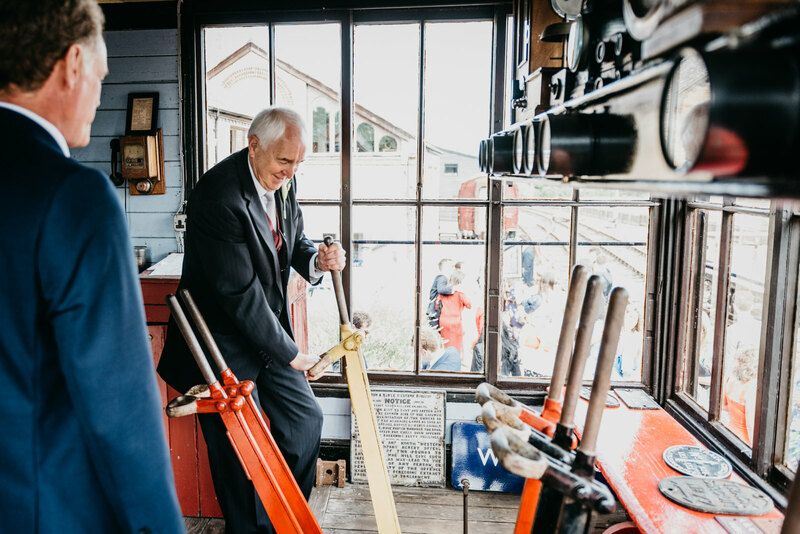 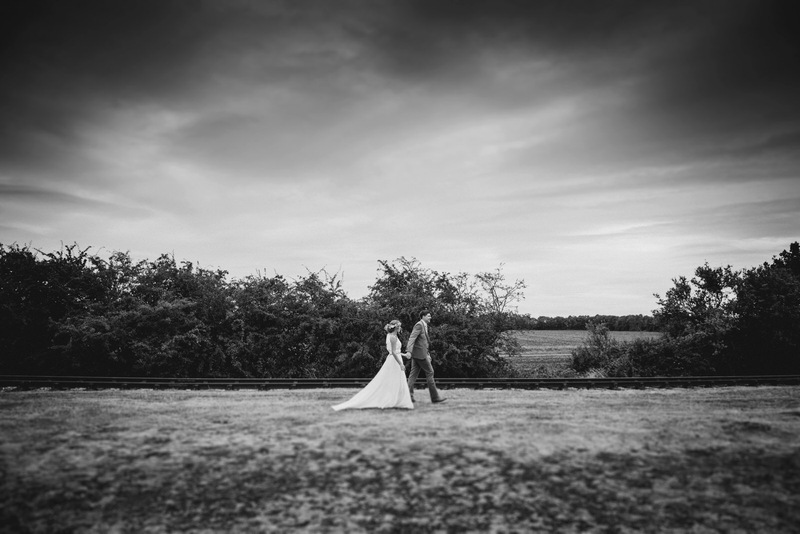 CAMBRIDGESHIRE WEDDING PHOTOGRAPHER – Rosanna and Richard’s railway station wedding. 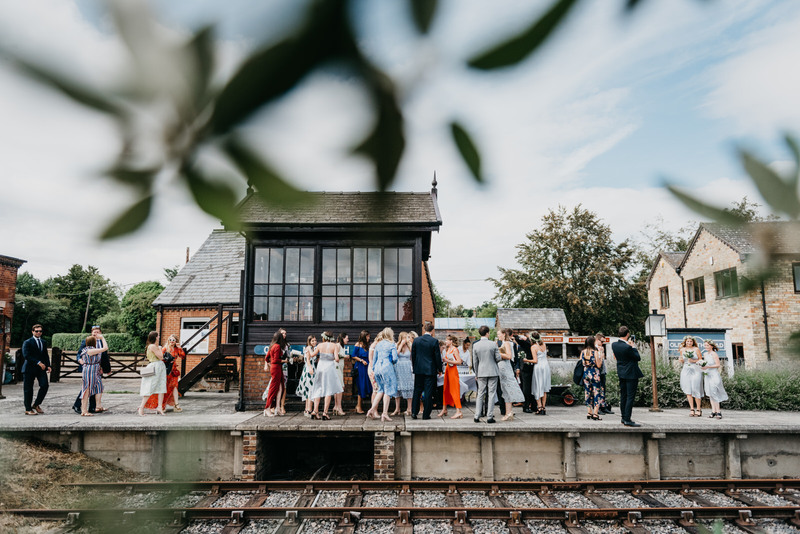 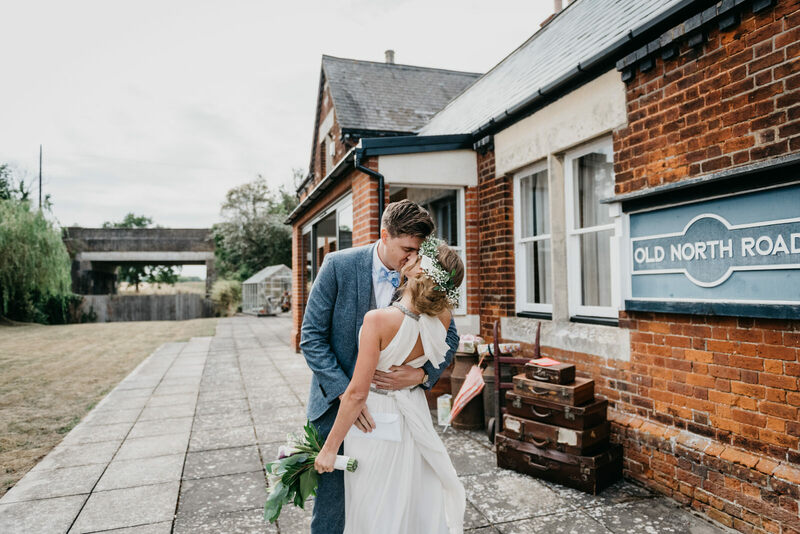 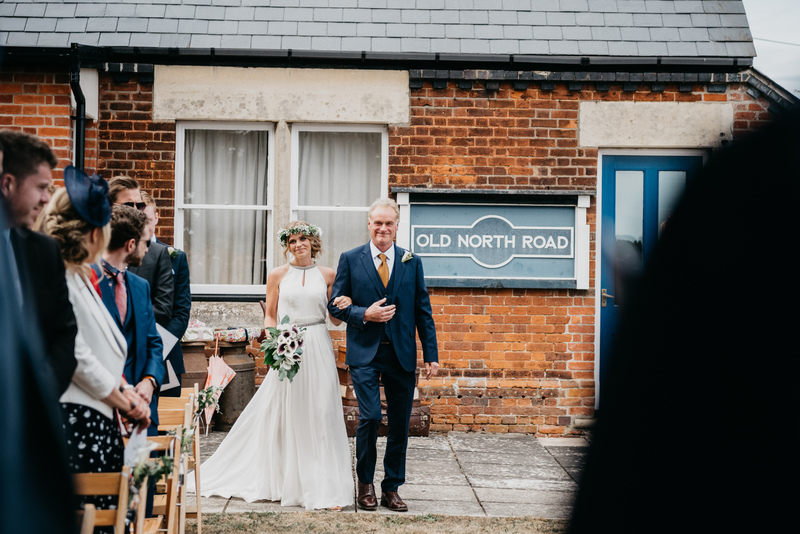 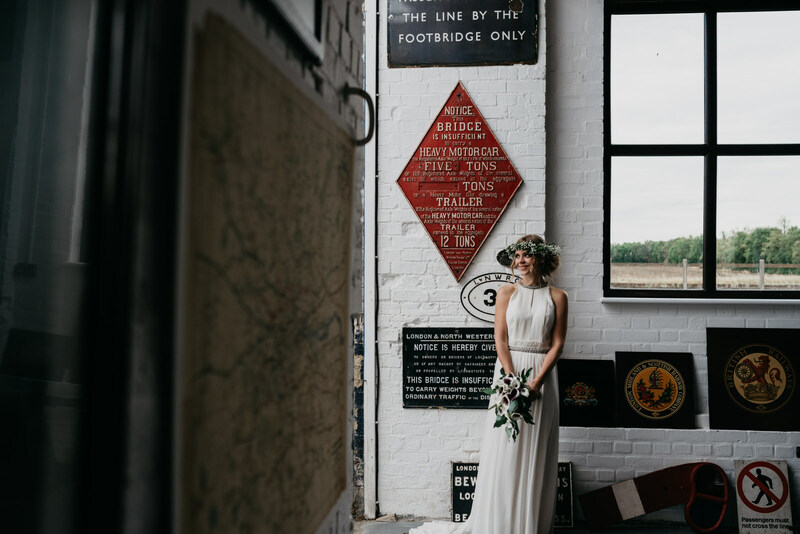 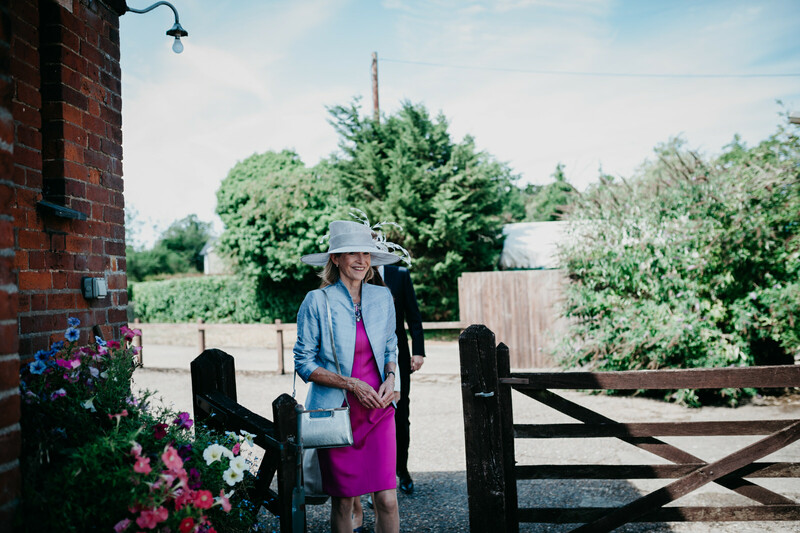 Rosanna & Richard’s delightfully quirky wedding at the railway station her father calls “home” in Cambridgeshire. 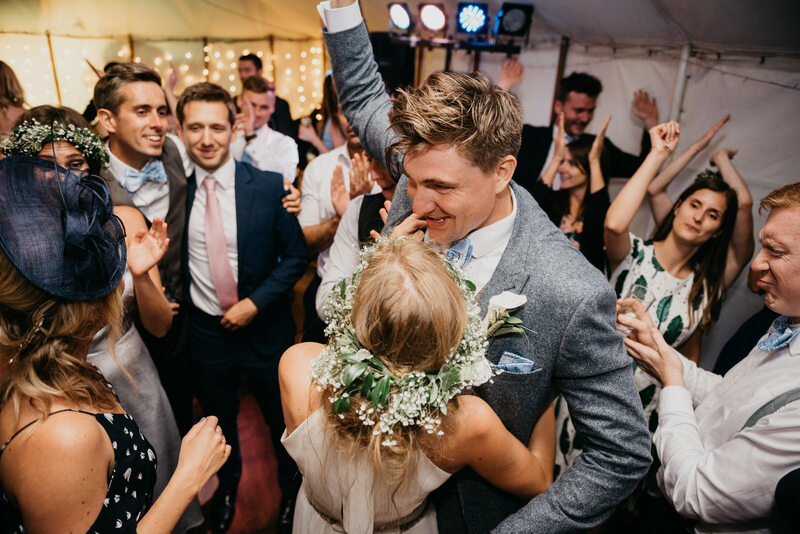 I say this a lot, but this wedding was SO MUCH FUN to shoot! 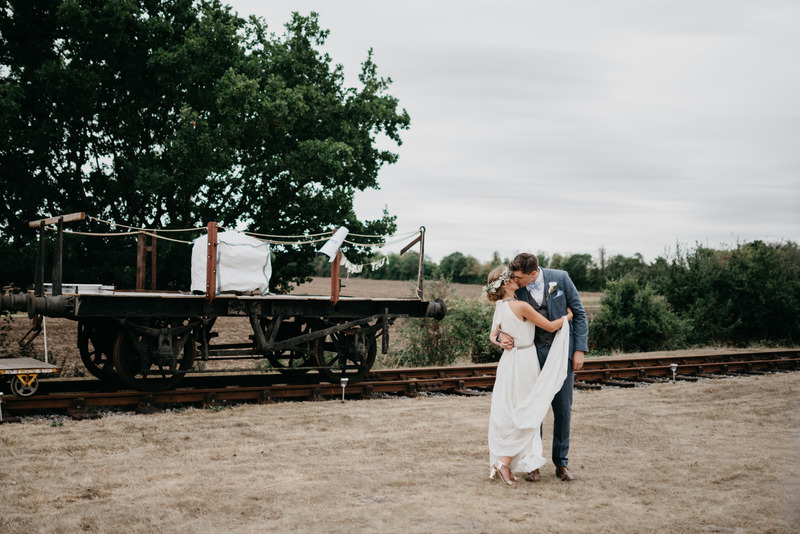 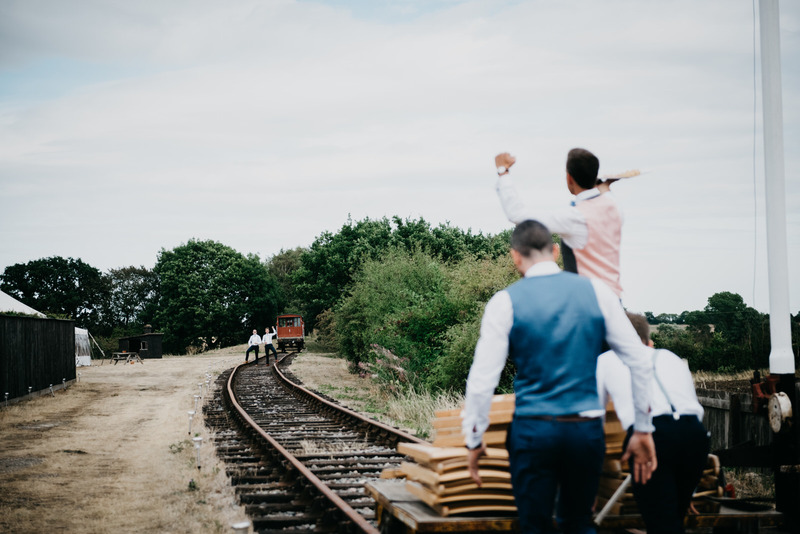 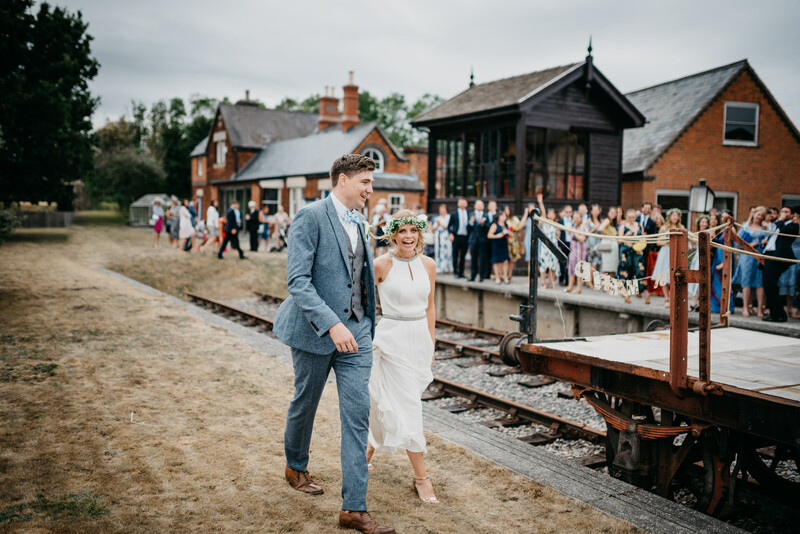 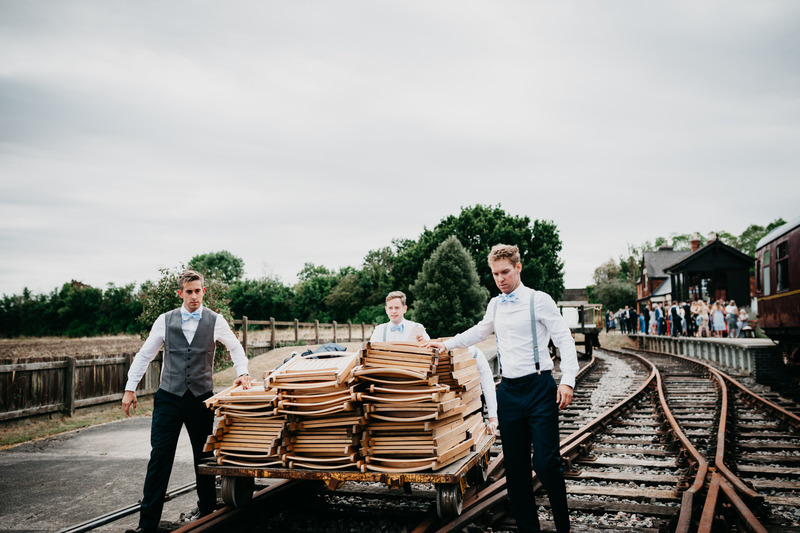 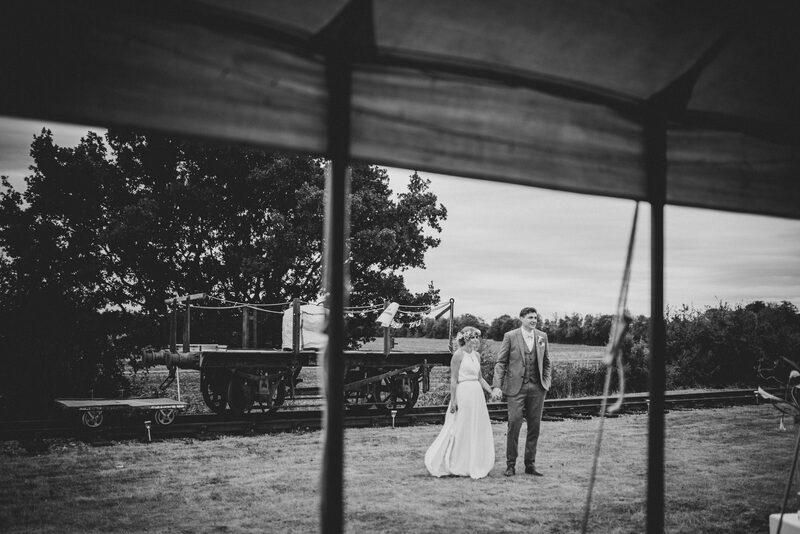 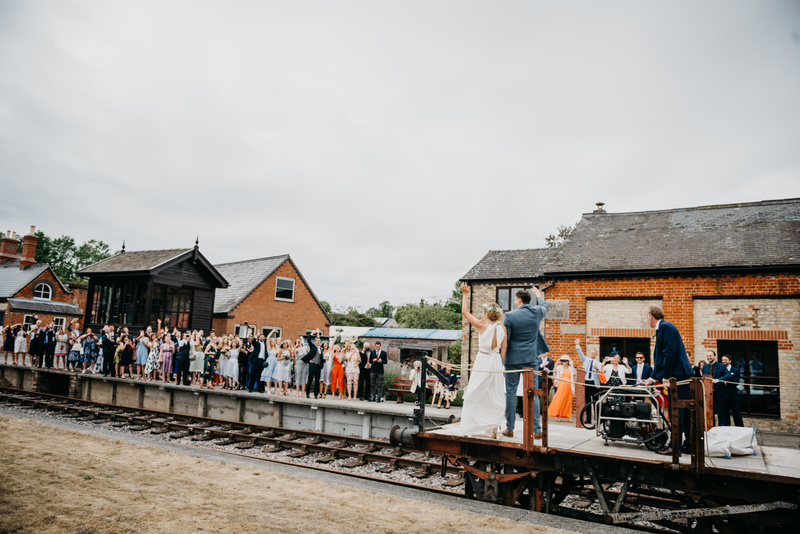 Talk about a cool wedding venue – these two got hitched over the summer at Rosanna’s father’s railway station!! 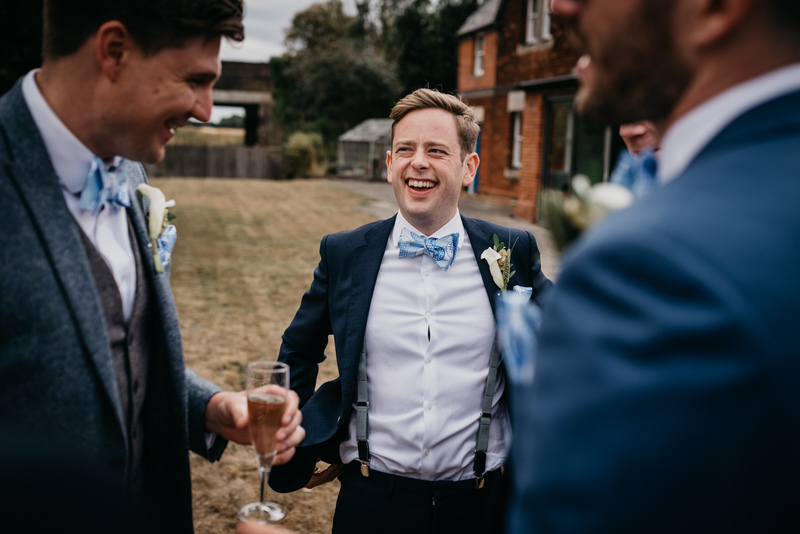 It’s basically my dream to take photos at all sorts of weird and wacky places, and so, suffice it to say, I was one happy bloke. 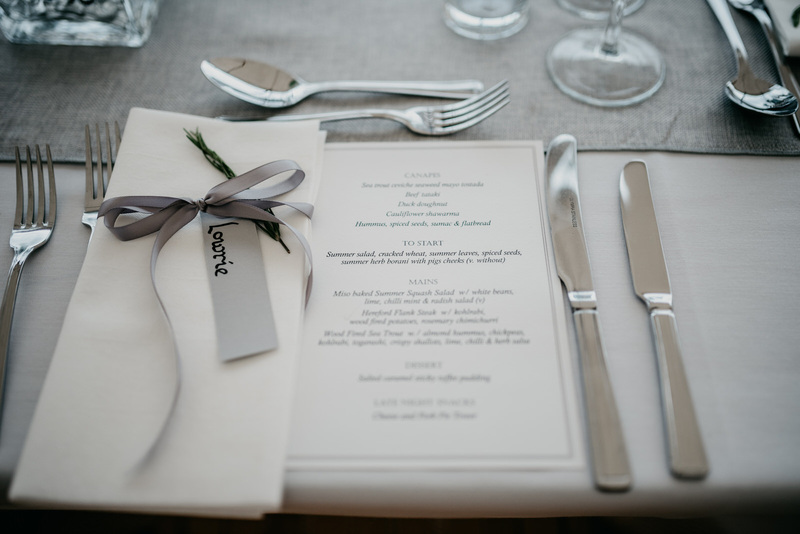 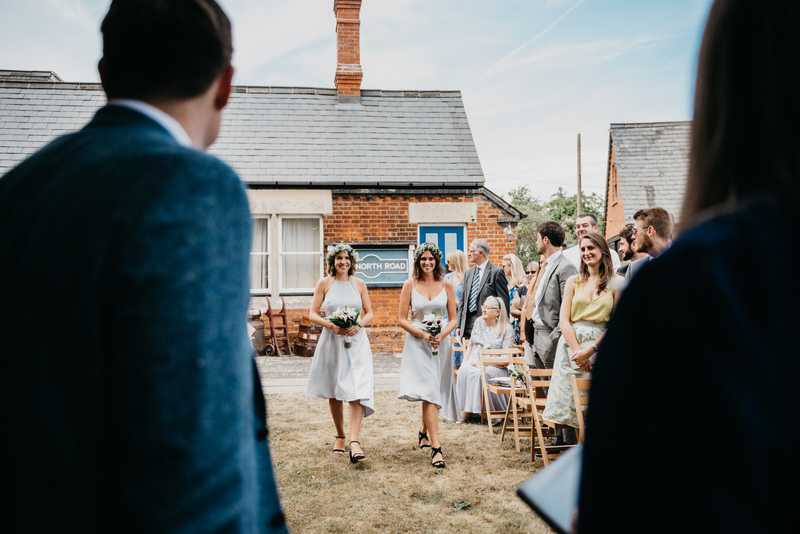 Aside from a morning jaunt to sign the register – a relaxed and intimate gathering, for those of you still planning your day (and I also imagine that it took some of the heat and nerves away from later on!) 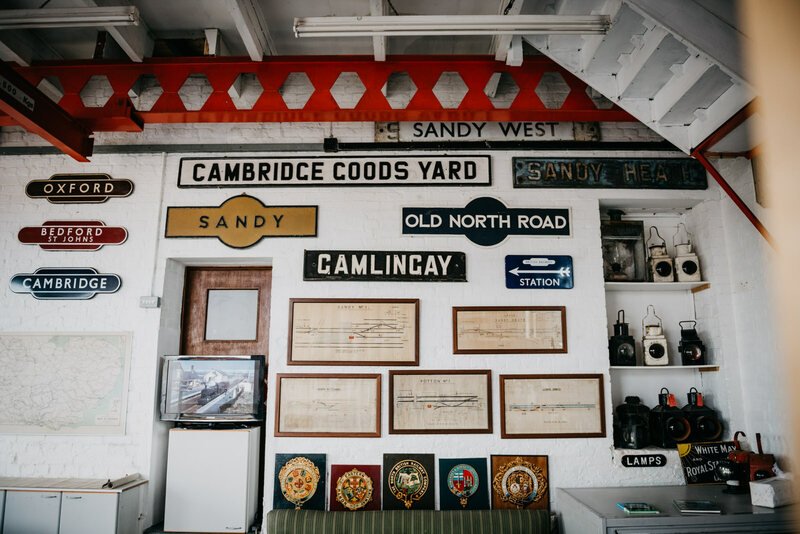 – the entire day was spent in or around the railway yard. 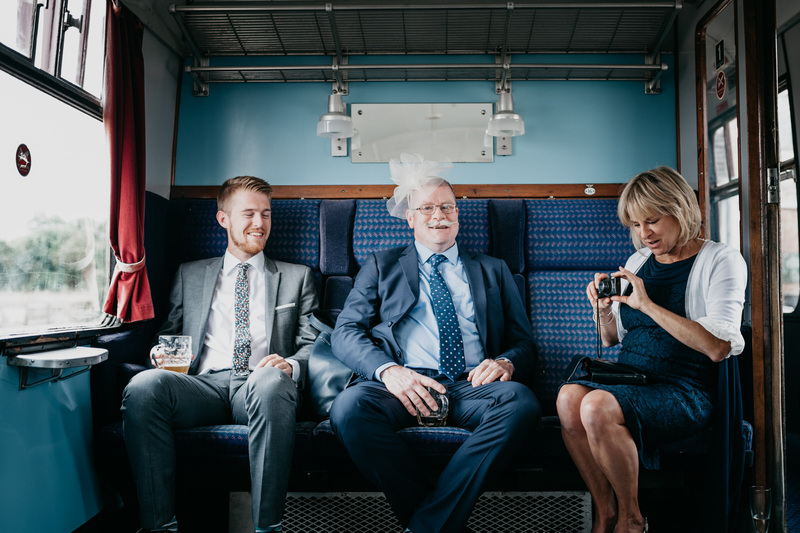 The whole wedding was heaped with personality and intimate touches; like the fact that the Richard is a micro-brewer and they served one of his beers – called Train Beer – at the reception, and the mother of the groom contributed the floral decorations. 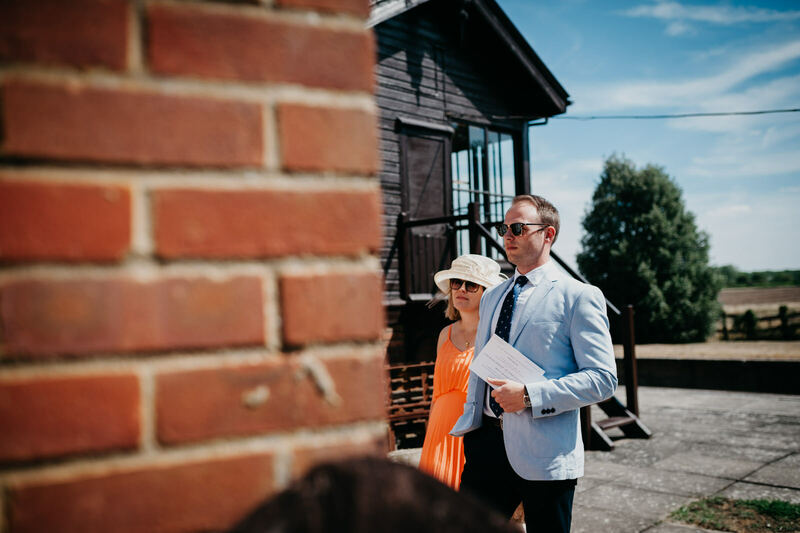 Weddings are a huge industry, like it or not, and from my own experience I know that they can start to take on a life of their own during the planning process, which is why I love being able to photograph couples whose day is innately “them”. 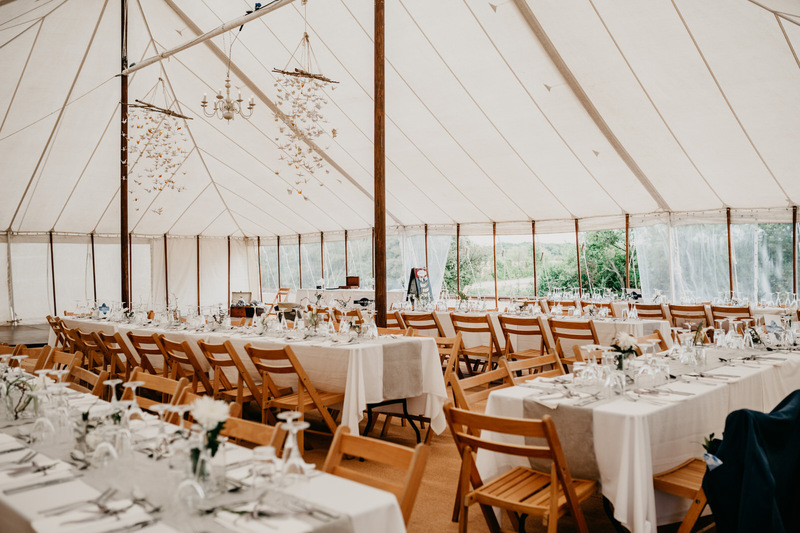 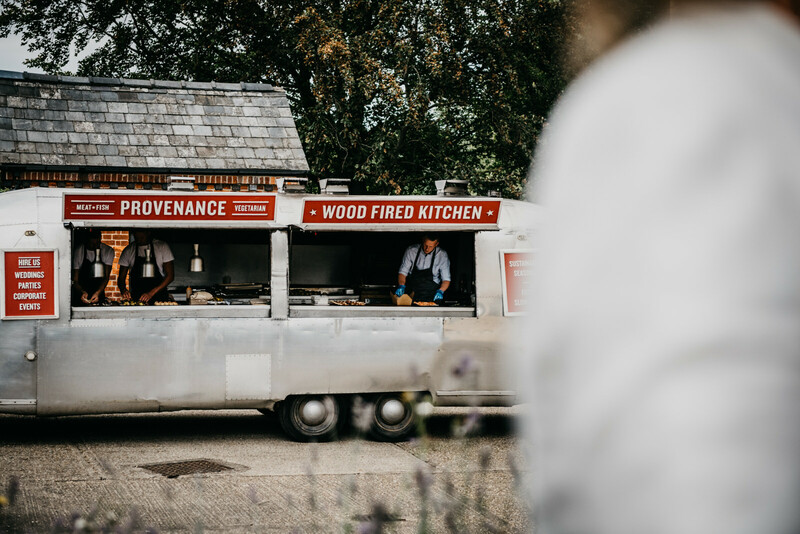 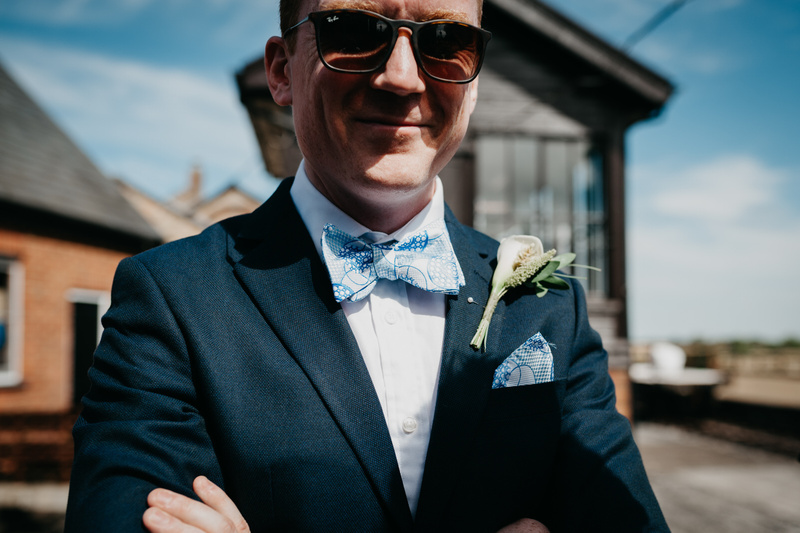 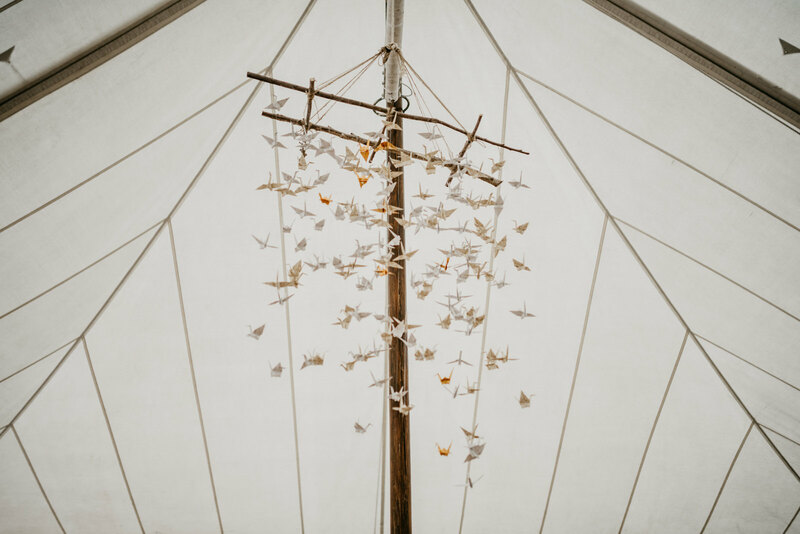 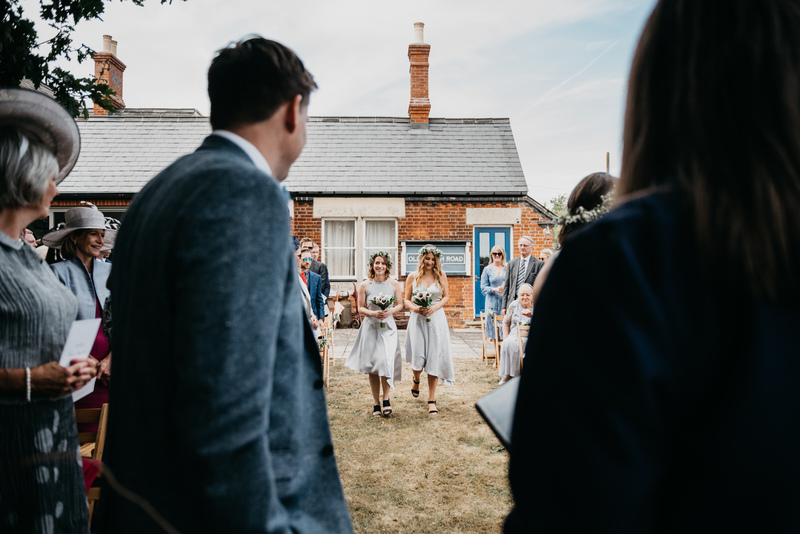 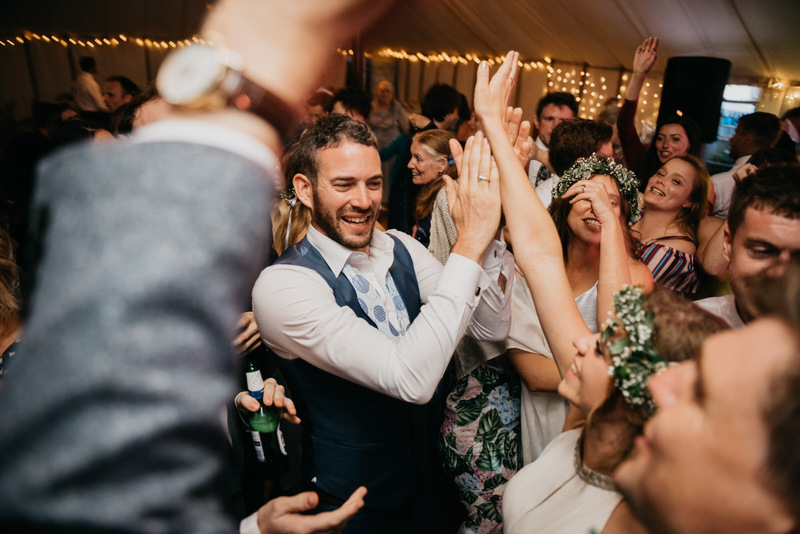 If anyone is planning their wedding in a quirky venue, or even anything that is just a little bit off-beat, then please do get in touch – I’m your guy! 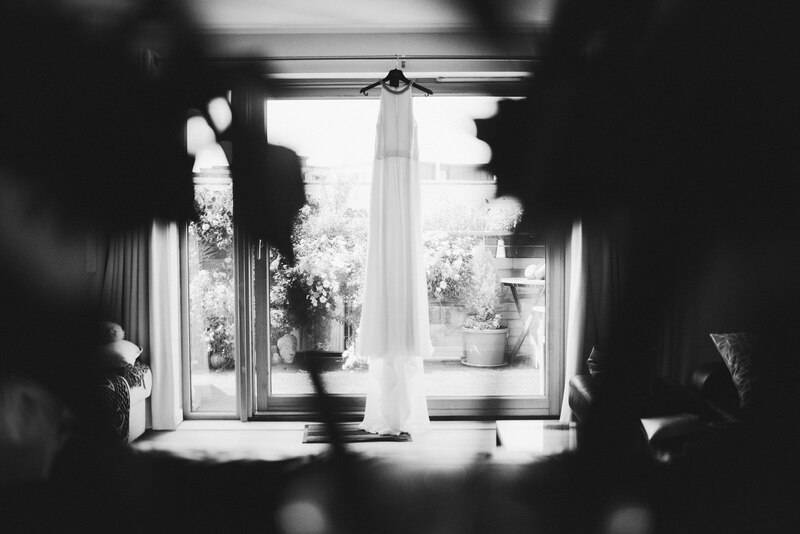 You can check out more of my work from this summer here or via Instagram. 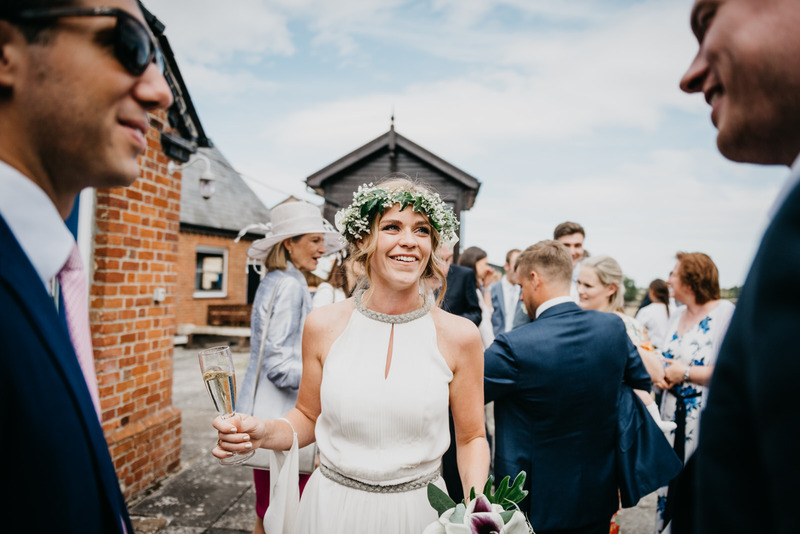 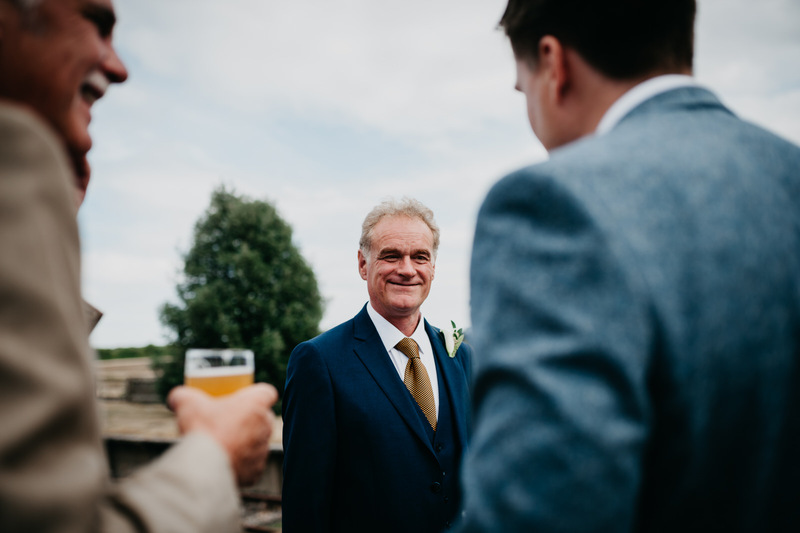 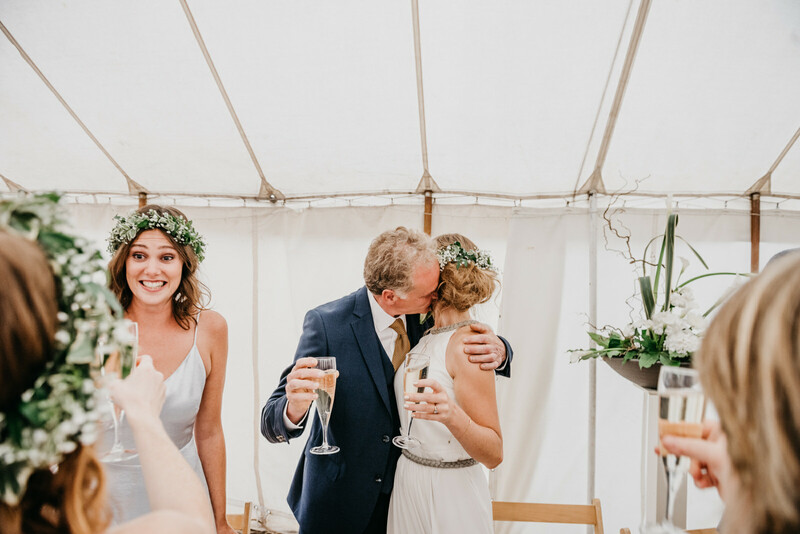 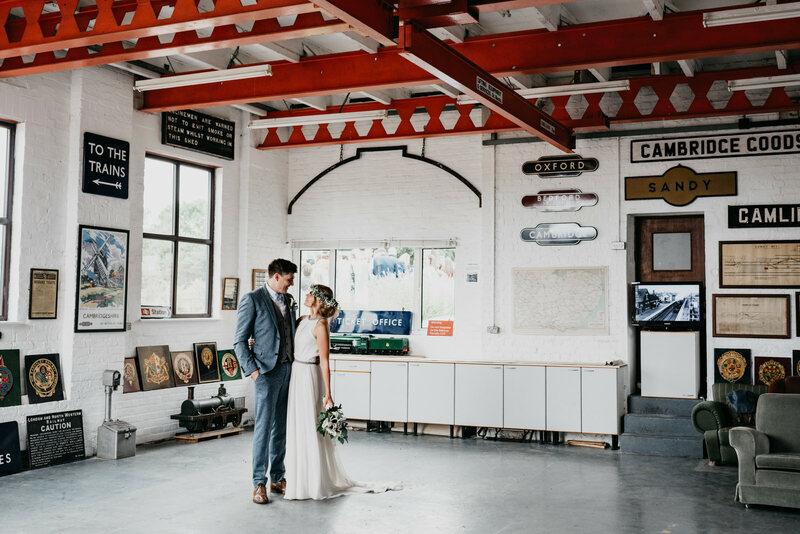 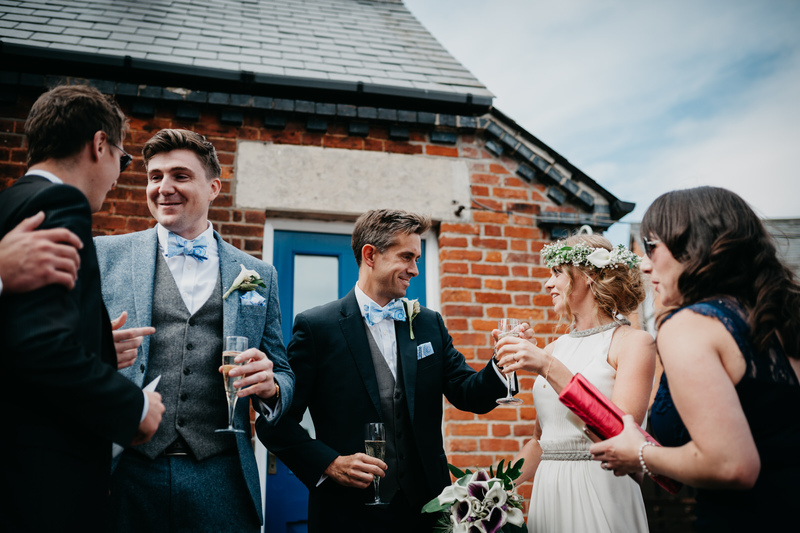 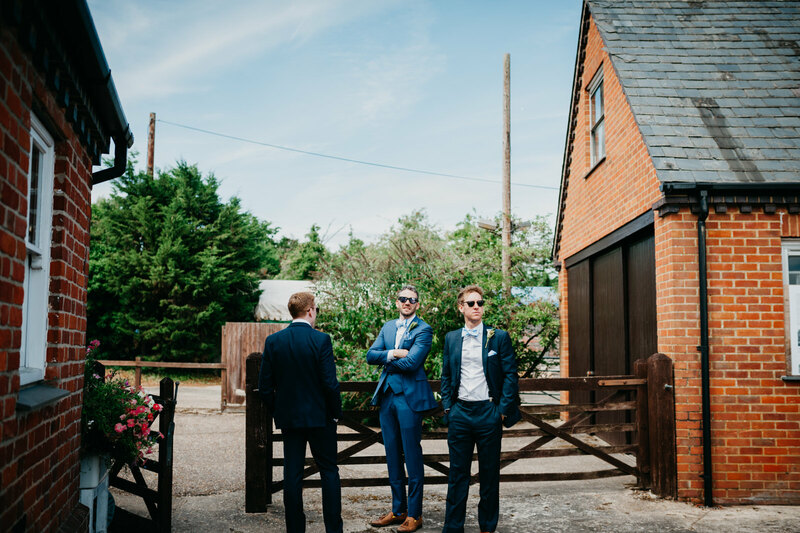 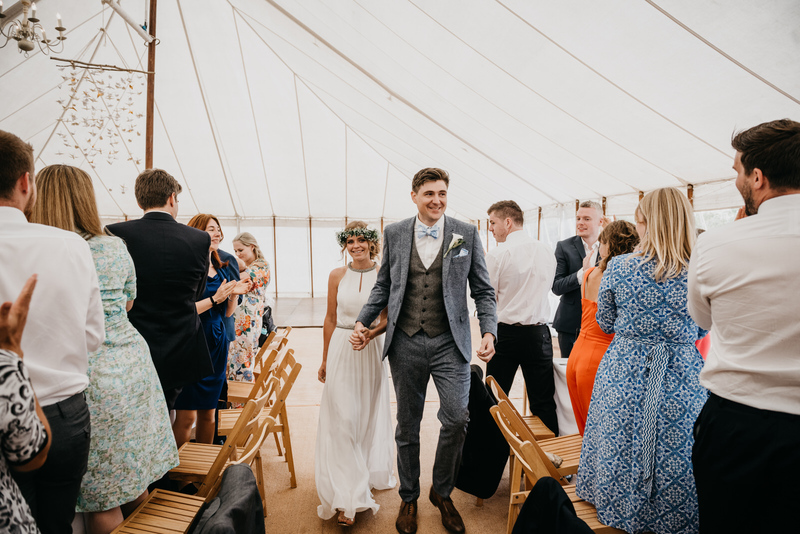 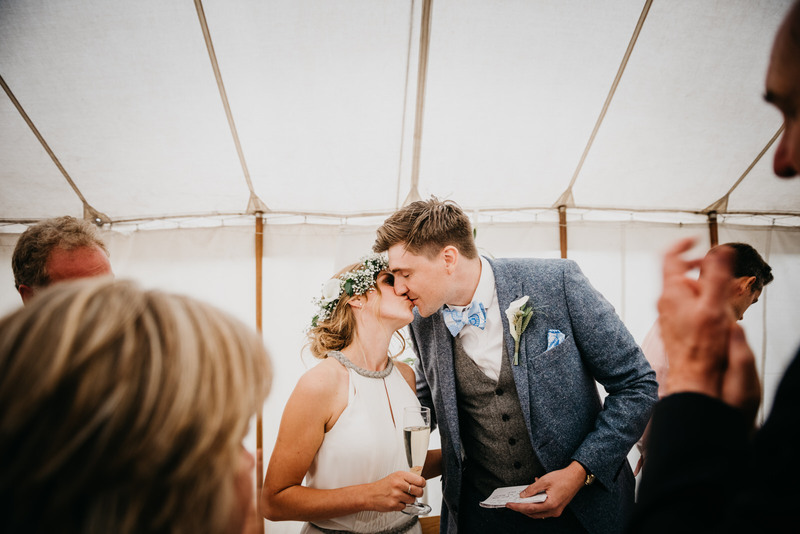 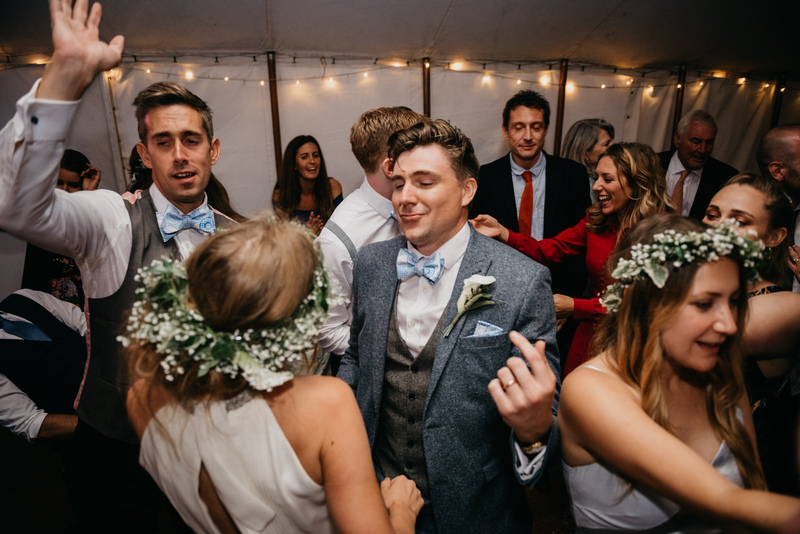 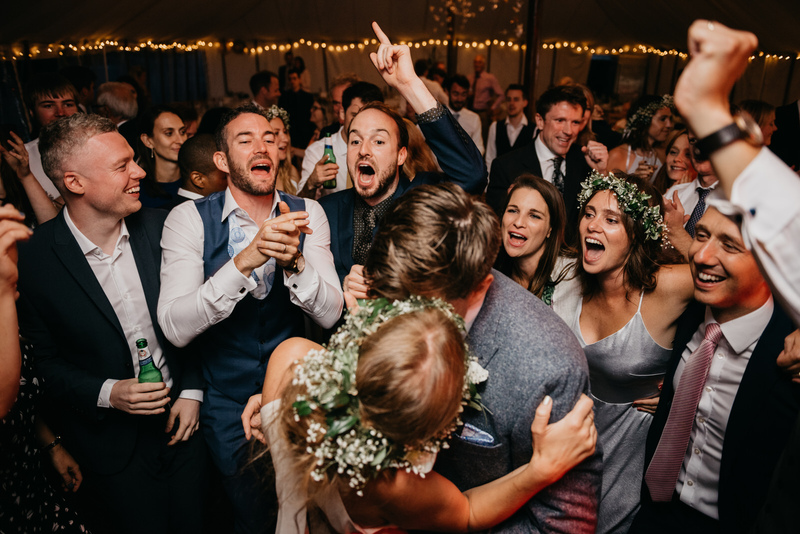 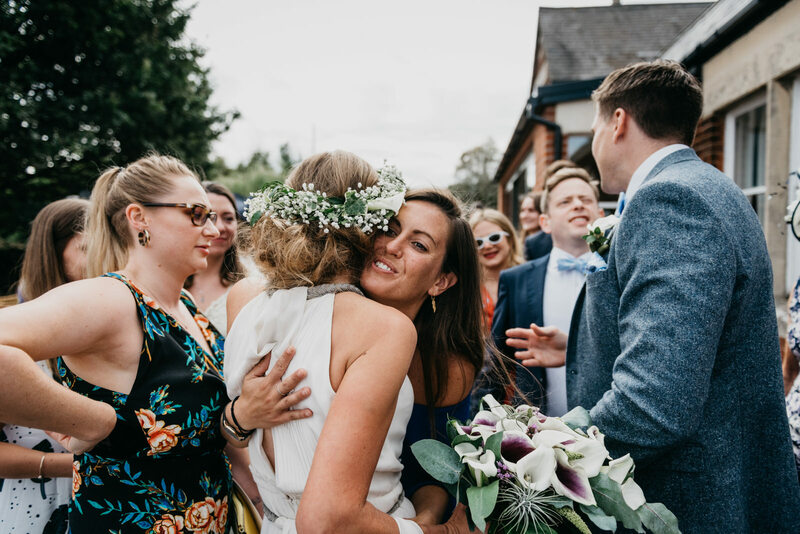 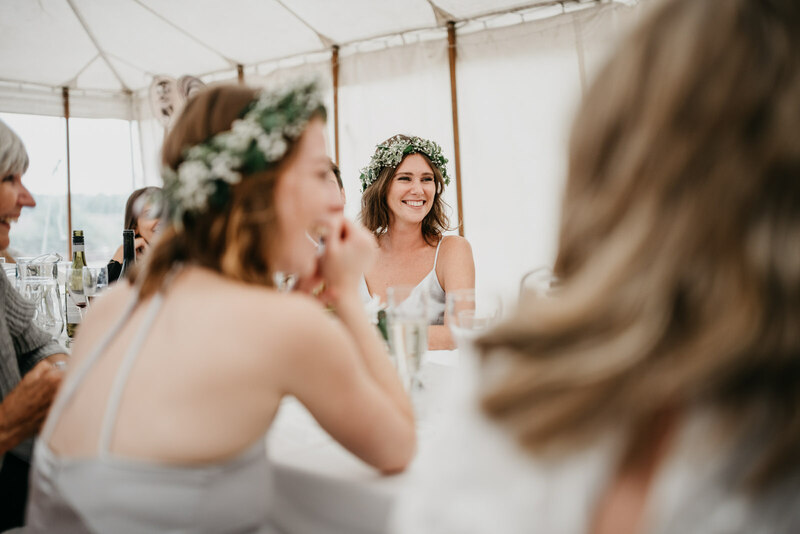 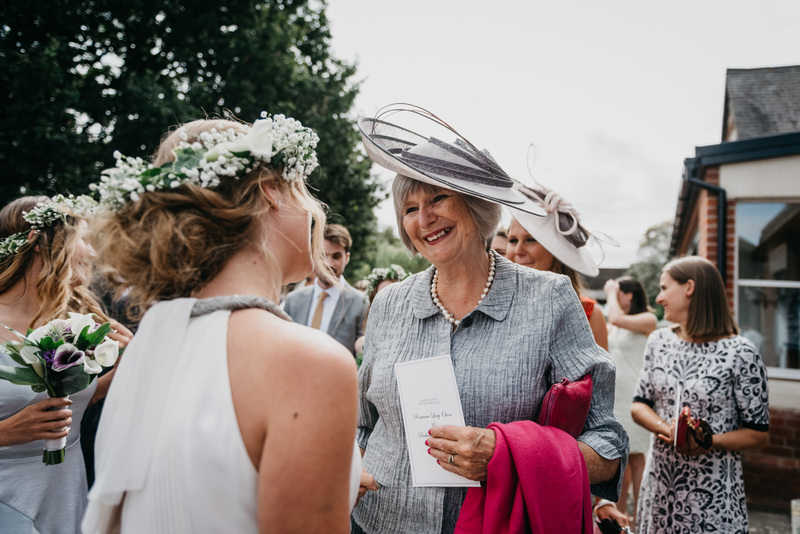 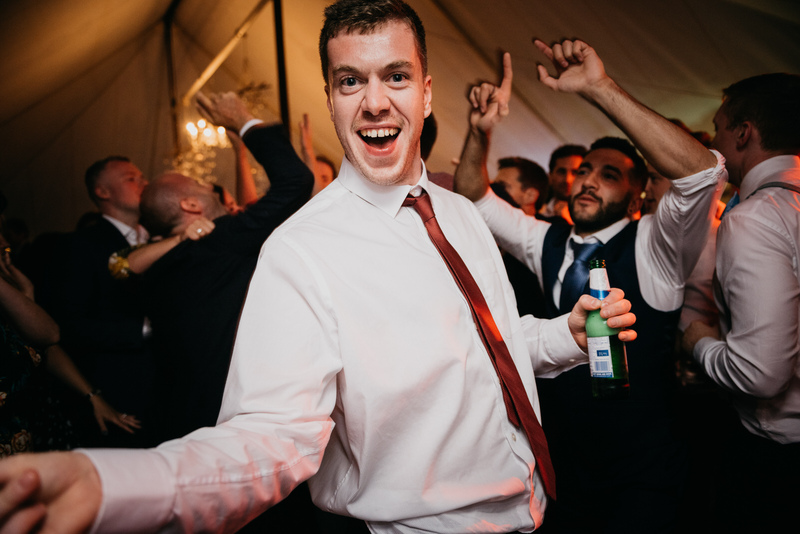 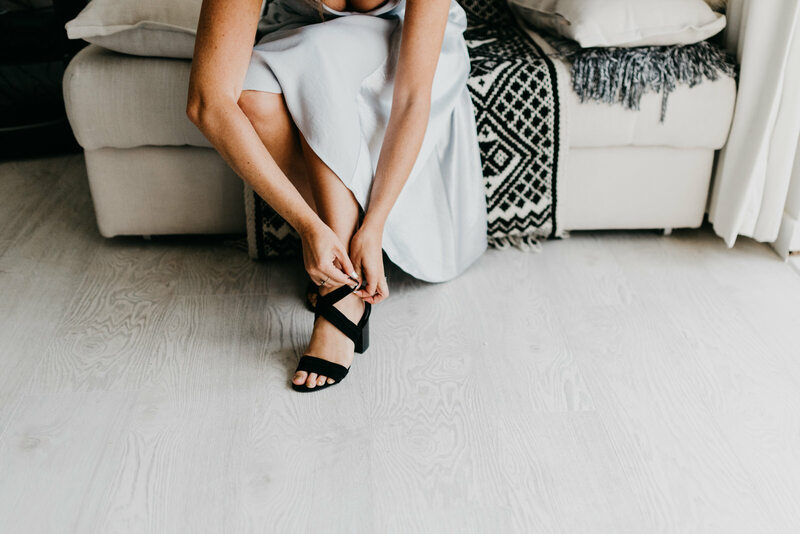 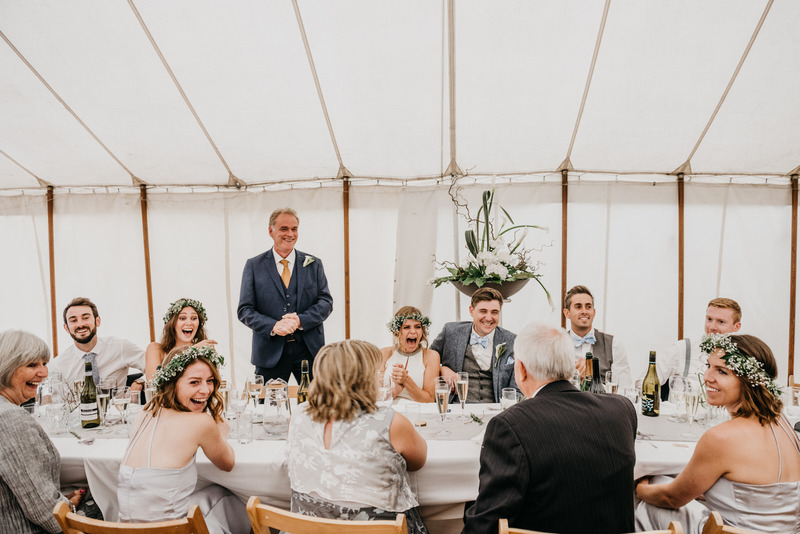 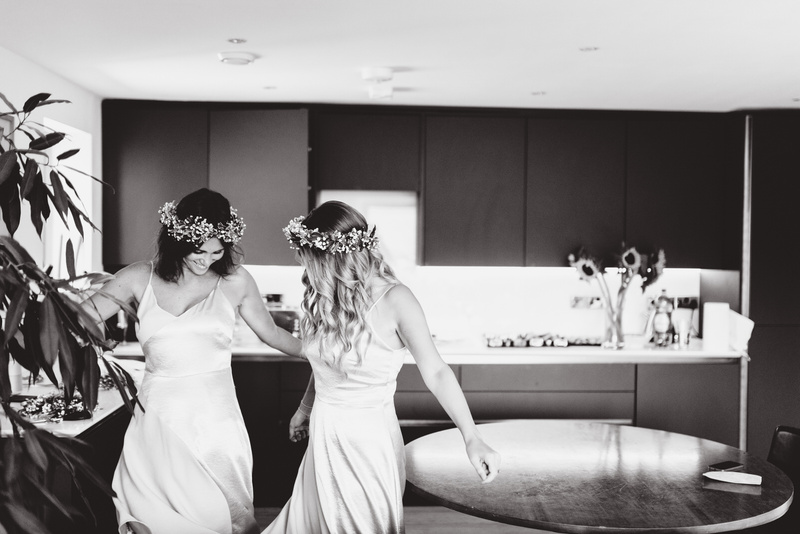 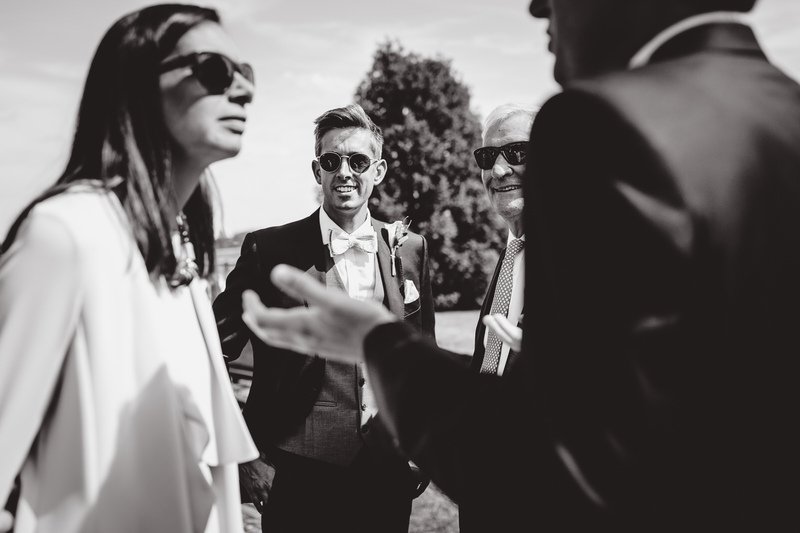 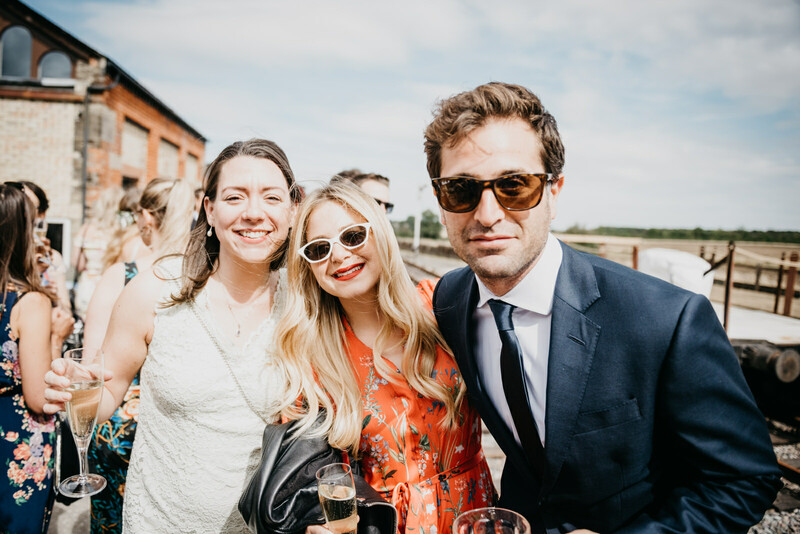 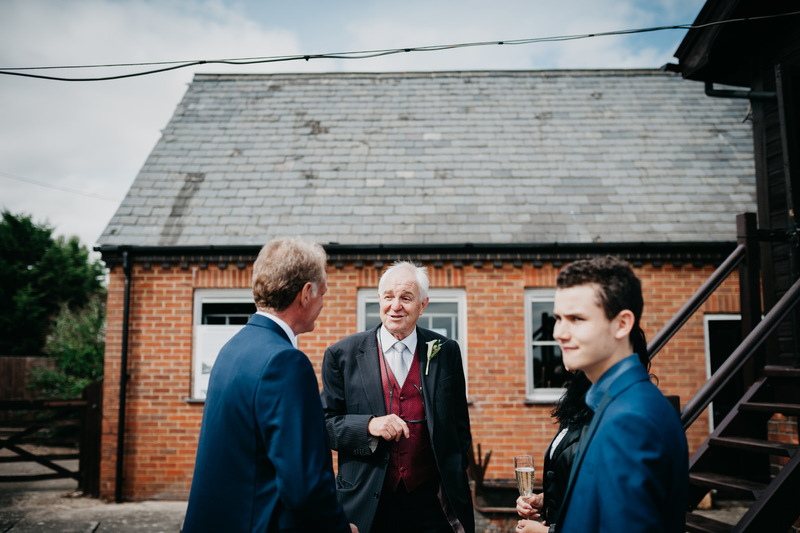 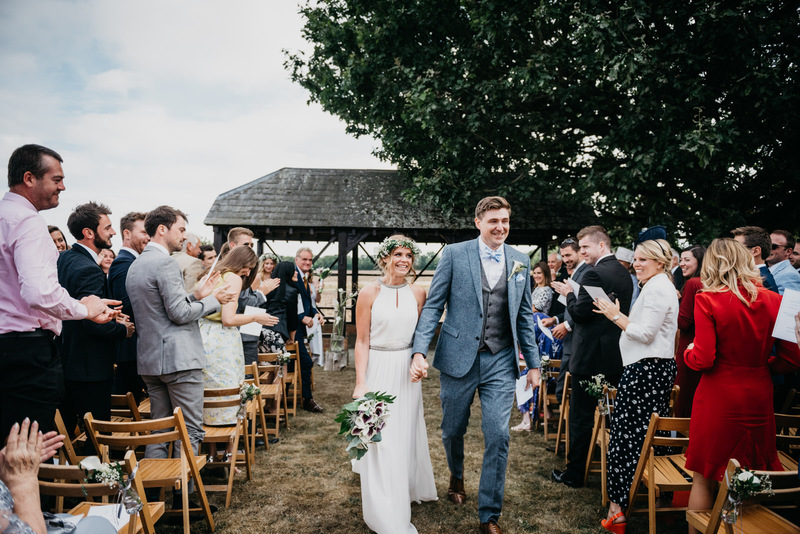 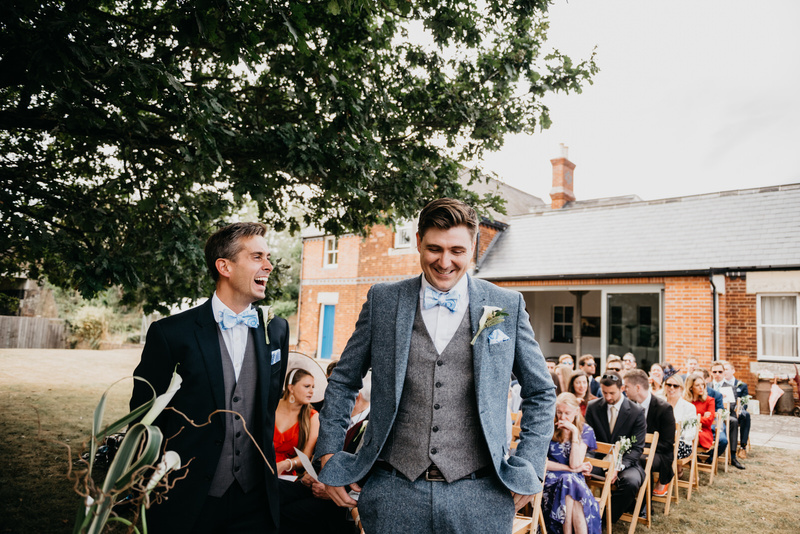 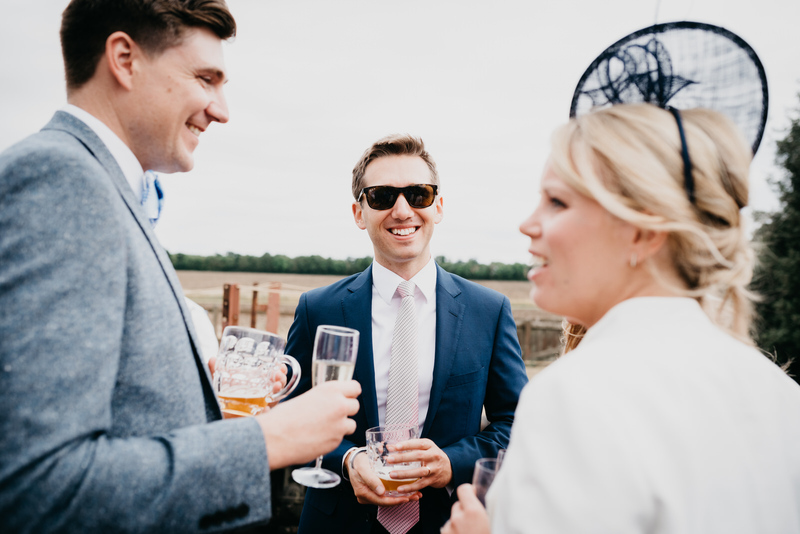 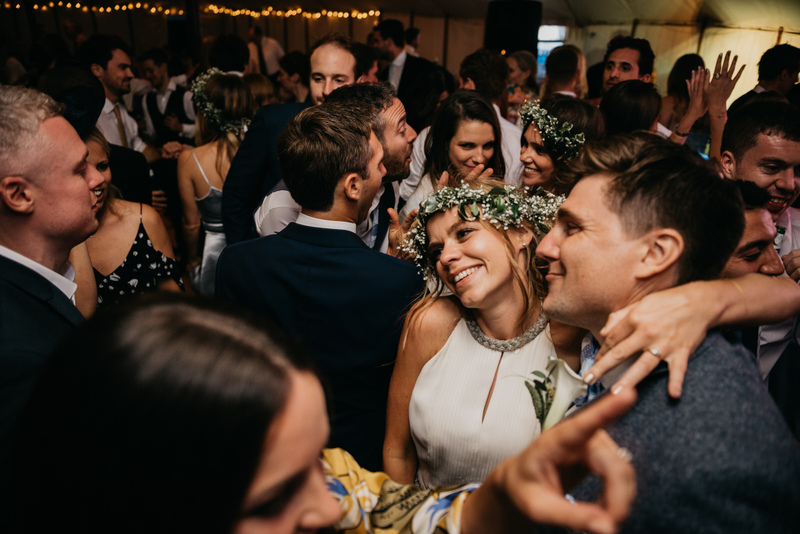 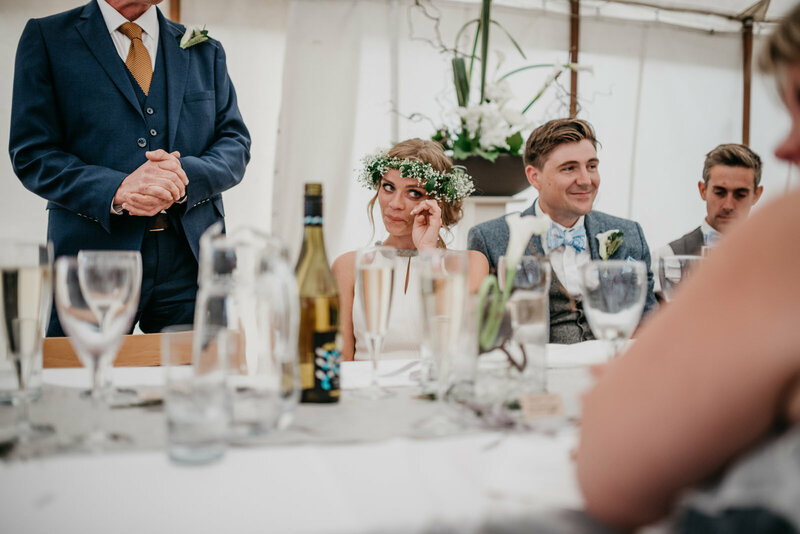 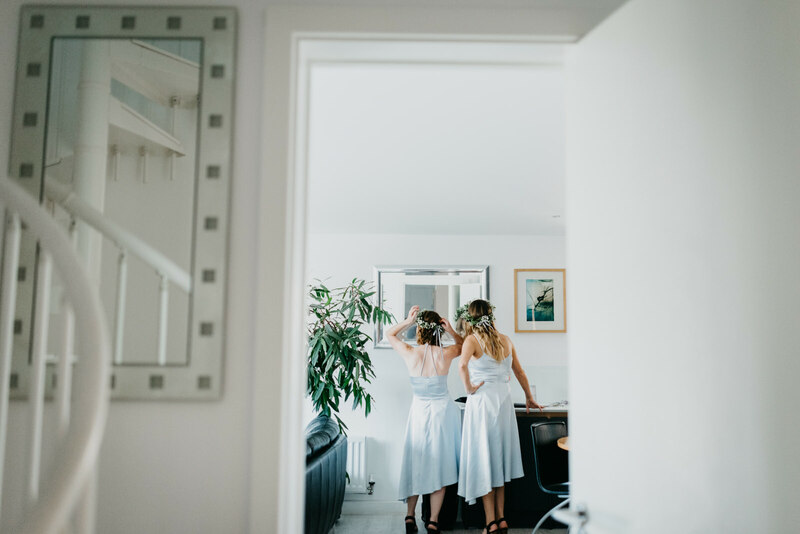 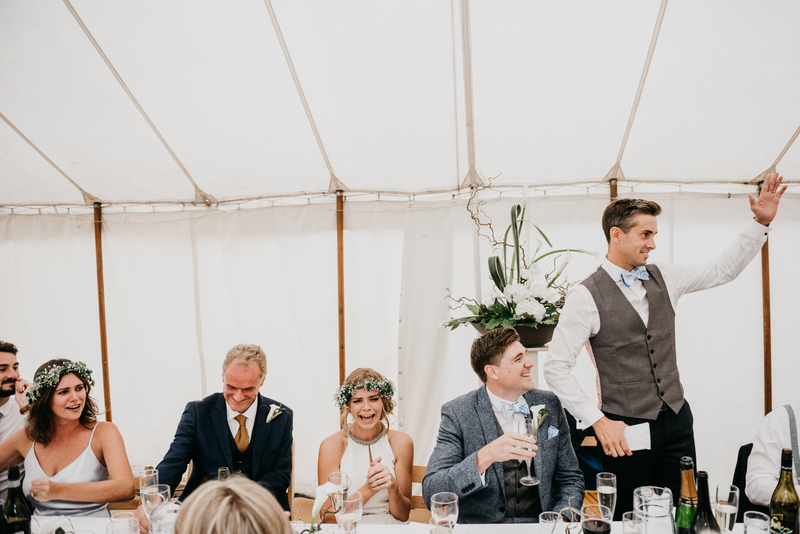 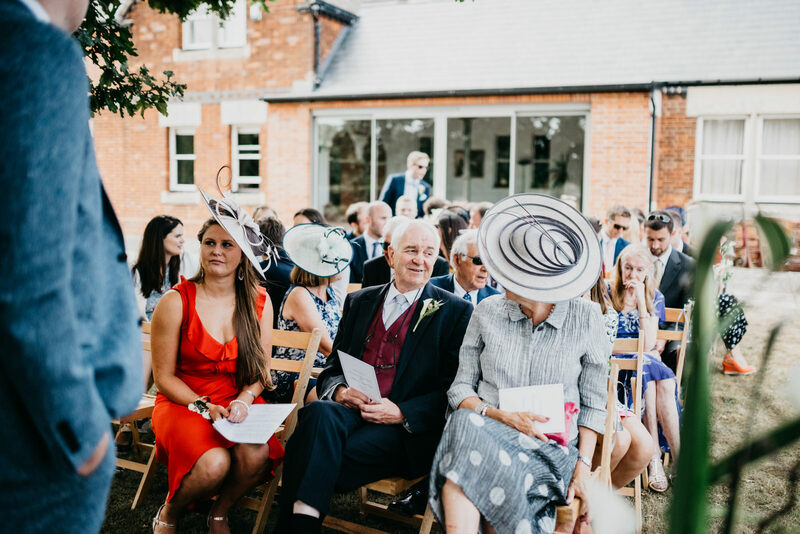 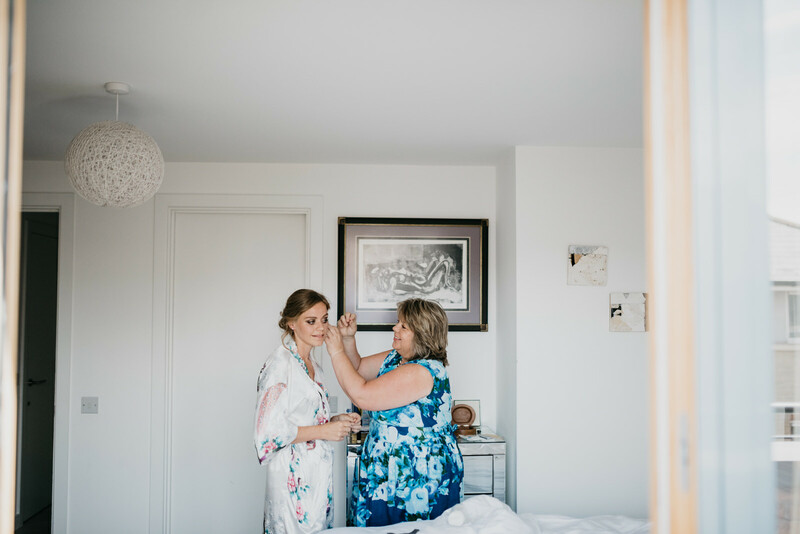 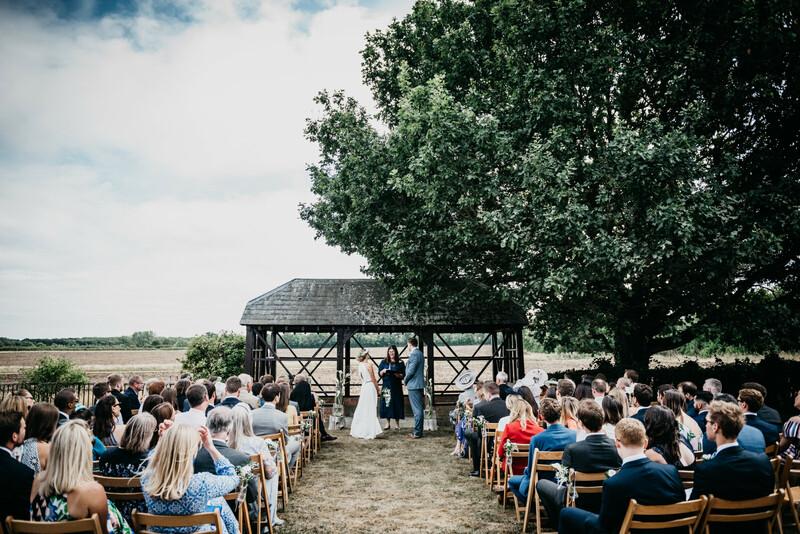 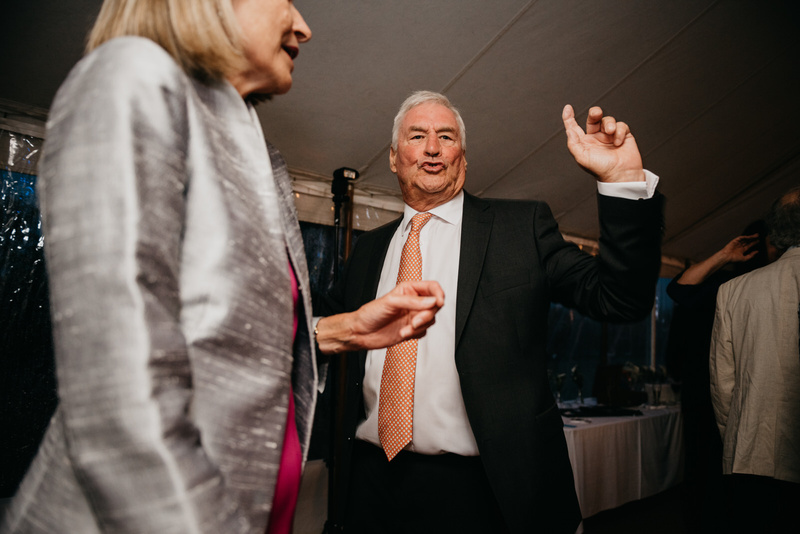 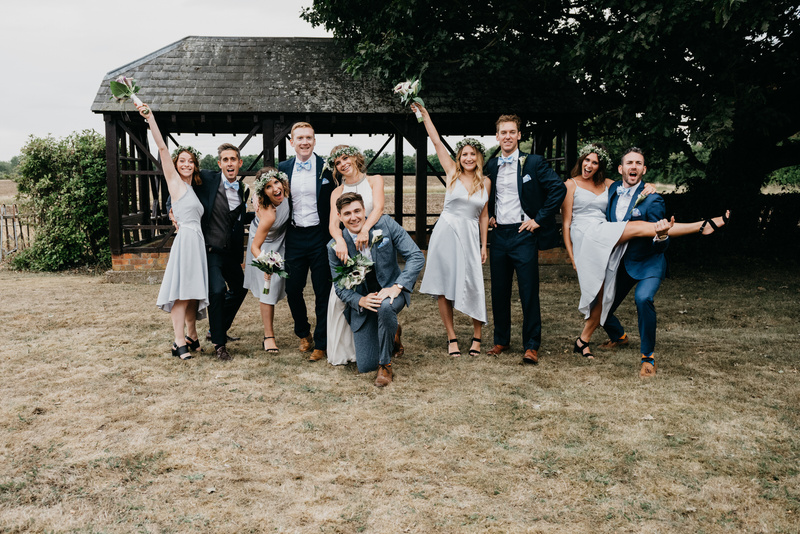 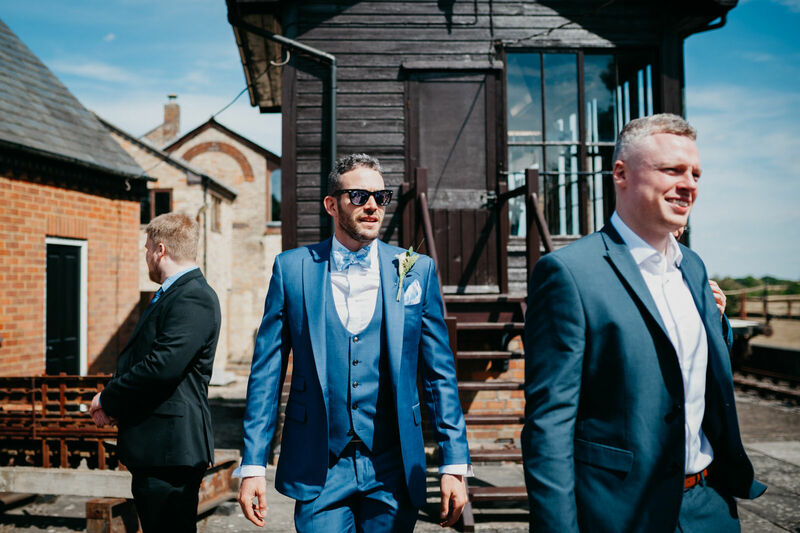 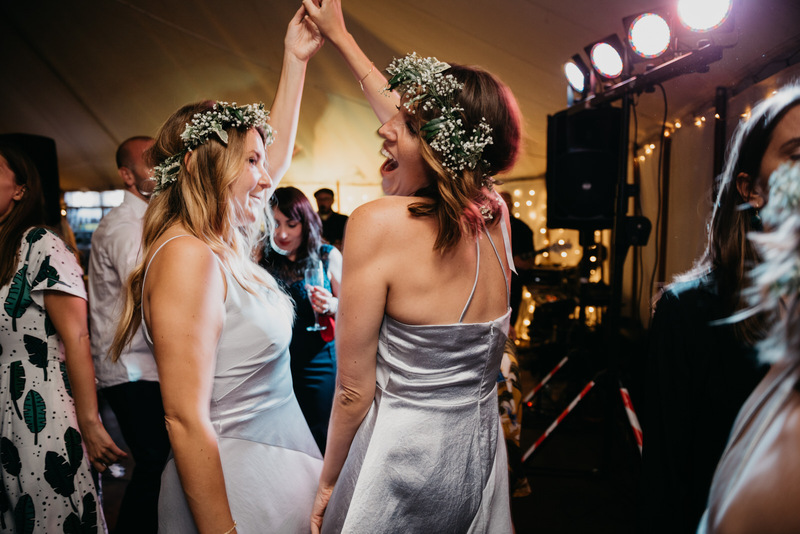 We cannot recommend Andrew enough – a hugely talented photographer and a gentleman who can put anyone at ease to capture the most intimate and fun shots – and everything in-between. 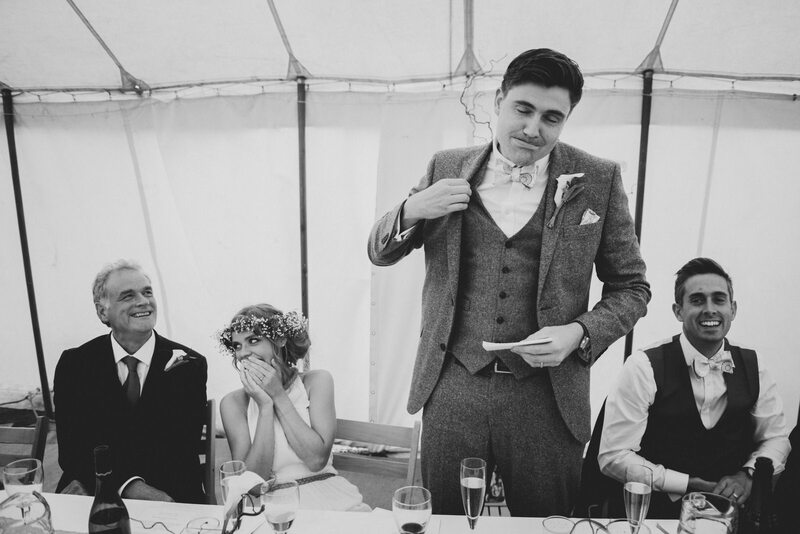 In the lead up to the wedding we felt that he really understood who we were as a couple and what we wanted. 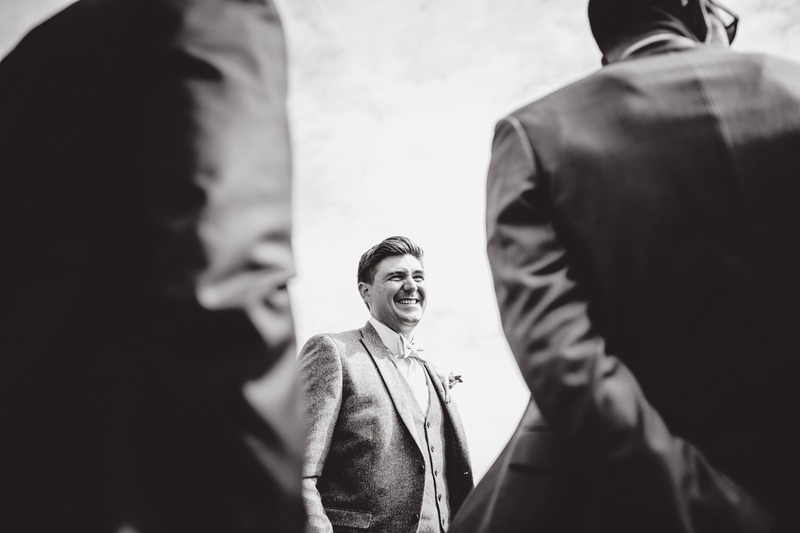 He was extremely thorough with his pre-wedding questionnaire, which put us very much at ease. 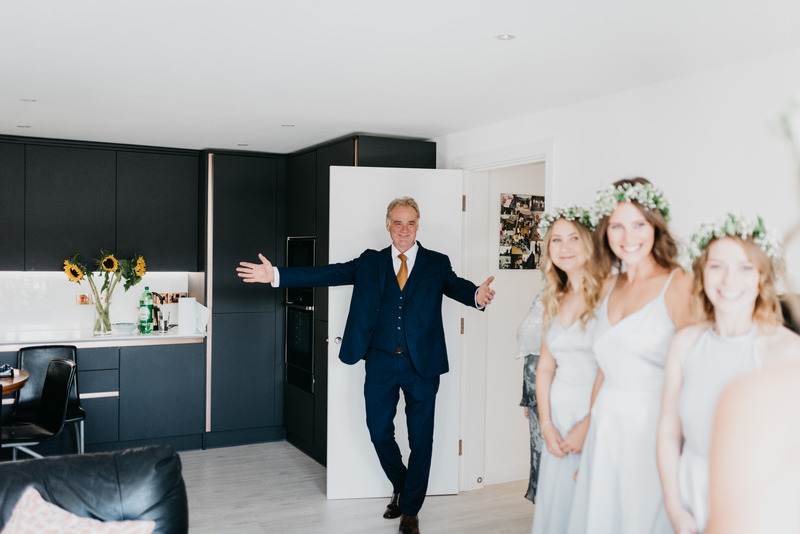 On the day – he was an absolute star – so calm and so helpful – simultaneously setting up shots (even moving furniture to compose), ushering, and getting the most out of every person without feeling like it was a photoshoot or disruptive. 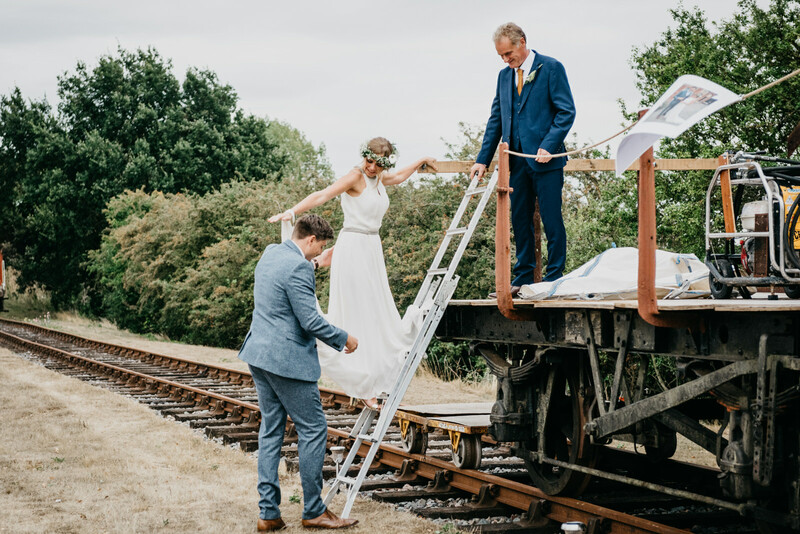 The final photos were all perfect. 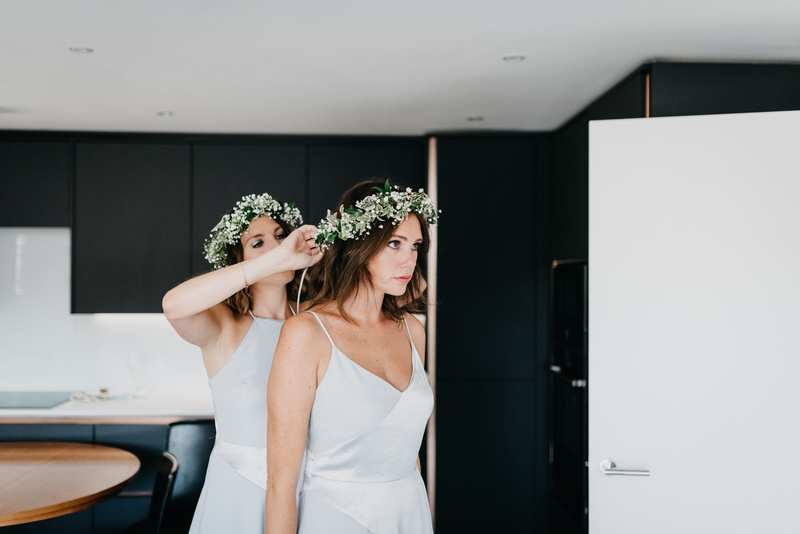 We didn’t go for a videographer, but seeing these I know we didn’t need one. 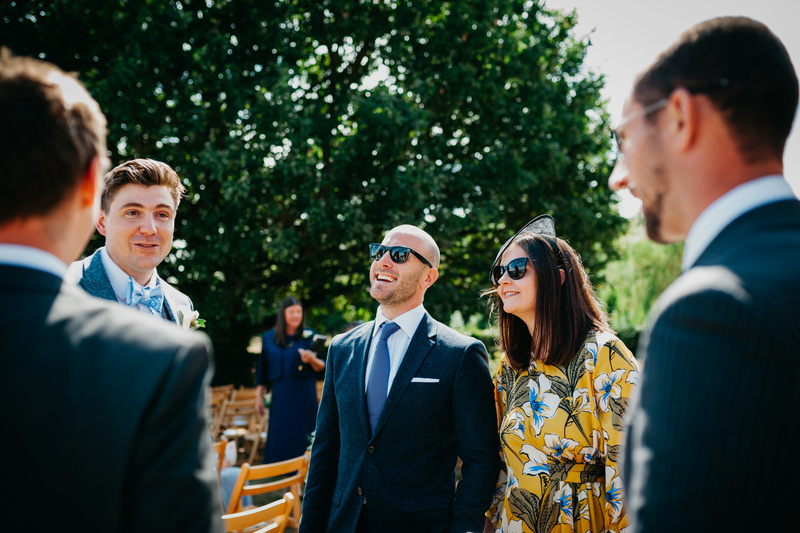 Andrew managed to catch so many of our guests – and great moments from the day and really give a documentary style view of our day. 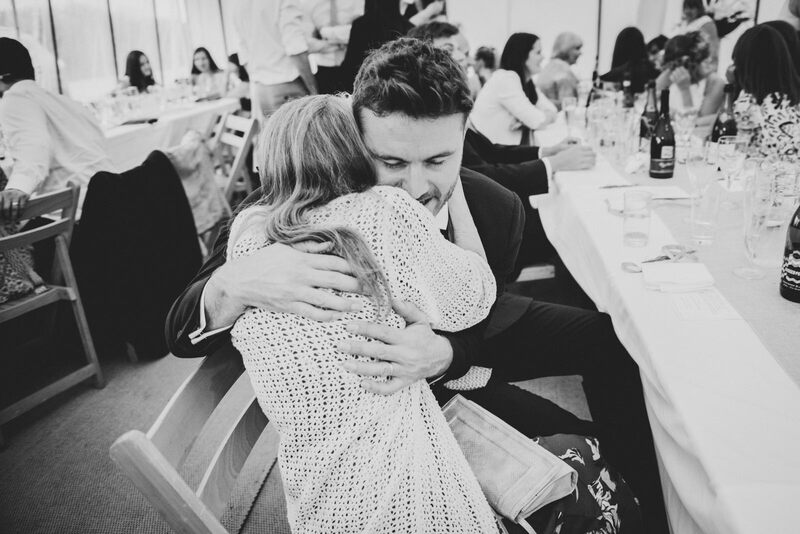 Looking through these was like reliving the day and we were so touched about how well he had managed to catch it all. 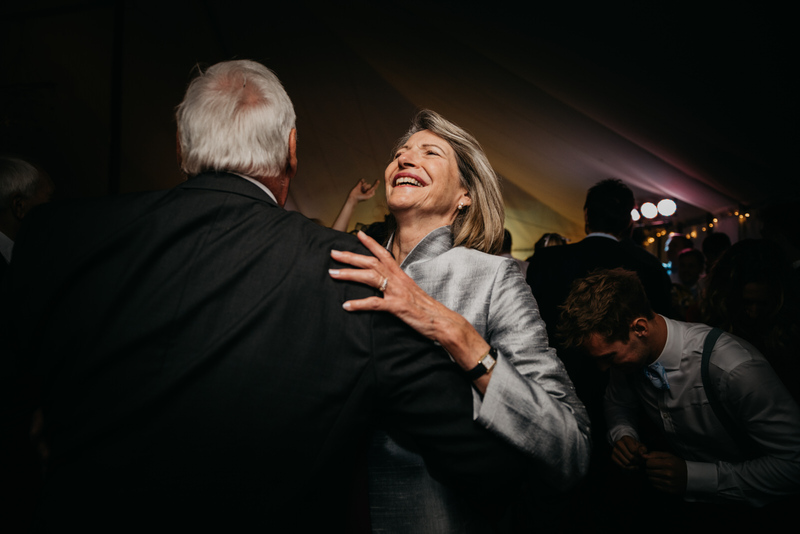 We love and will cherish these photos always – so thank you again, Andrew!